These two right here are very near and dear to me. They're my inlaws! And truly two of the sweetest people I know. 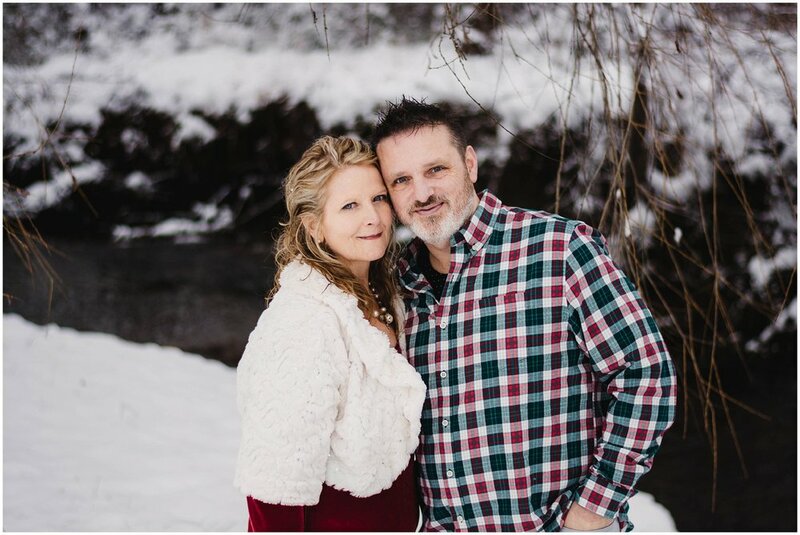 Sharon had asked me to do a Christmas session for their Christmas card pictures, and it happened to snow 9 inches one weekend, so we thought, "Hey, now's as good as time as any right?!" And talk about your winter wonderland. It was truly magical. When she put on that red dress, I knew it was going to be even more amazing. So out we went, into 20 degree weather and 9 inches of snow up to our shins! 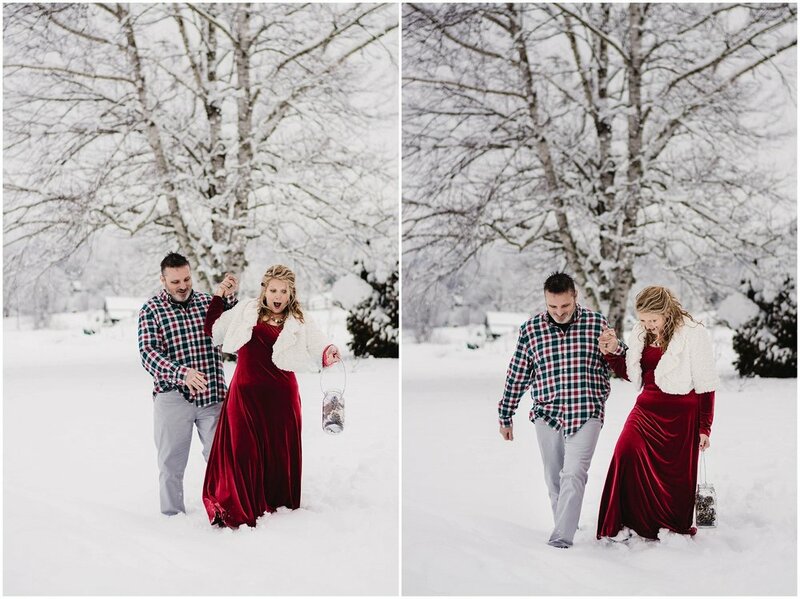 But I have to say, being the snow lover that I am, snow sessions are my fave! 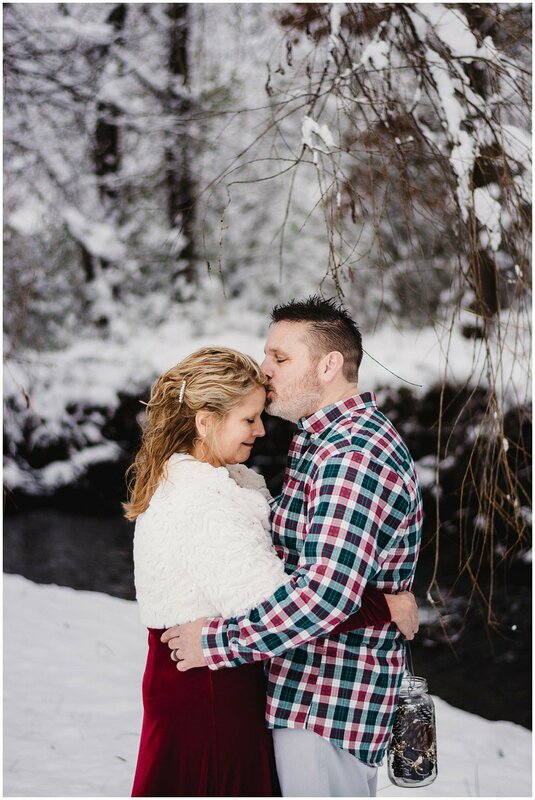 Being the romantic lovebirds that they are, Geoff and Sharon were married on 12.12.12 and were the first couple to ever marry in a Starbucks! Cake pops and lattes were the treats of choice and 5 years later, they are still as in love as ever! A true love story still in the making.